The Secret To Efficient Construction – Instant Hold Adhesive – With reducing build time and maximising strength as our mission, we have now compiled a guide for the construction industry. Don’t use blobs – For virtually every adhesive available using blobs increases curing time. Applying adhesive as strips means curing time is decreased through the adhesive having more surface area. Elasticity is vital – No matter whether it is construction of a commercial complex or a residential home, most projects experience movement of some time. For example, the joining surfaces of a ceiling and wall can experience movement meaning an adhesive which dries brittle and hard will increase the likelihood of cracks. An adhesive with elasticity will allow for movement while reducing the appearance of these visual cracks. Versatility – Use an instant hold adhesive which works with virtually all materials. As well as saving time from swapping between adhesives you will increase your buying power through using larger quantities of the same product. Consider the time reduction – As well as saving time and therefore costs, an instant hold adhesive means the the need for visible fixings is reduced. The instant hold feature means that the material is less likely to move during the curing process. A small tip with instant hold adhesives – be careful of the colour; the instant hold aspect means that you won’t find a clear instant hold construction adhesive. Specific elements need to be used to give the adhesive the instant hold feature and those elements have colour. An ideal instant hold adhesive is Ritetack. 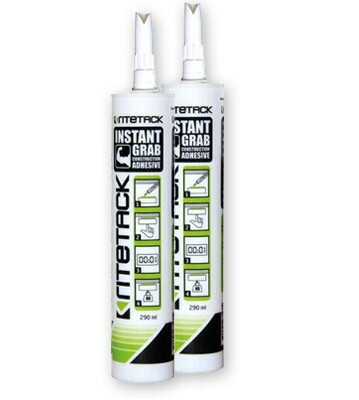 Ritetack has an instant grab benefit like no other instant hold adhesive! Use piano wire – Using a thin wire in behind in a sawing motion can cut through most adhesives. Once the product is released, the dried adhesive can be mechanically removed from both surfaces. This method is an efficient way of removing mirrors which have been glued to a wall. Application of construction adhesive is another bottle neck in projects. Using the right application tool can be the answer to stress free project completion. Use the wrong tool and you can have mayhem. Choose your caulking gun carefully – Yes, not all are the same. There are even key differences such as the trigger ratio. 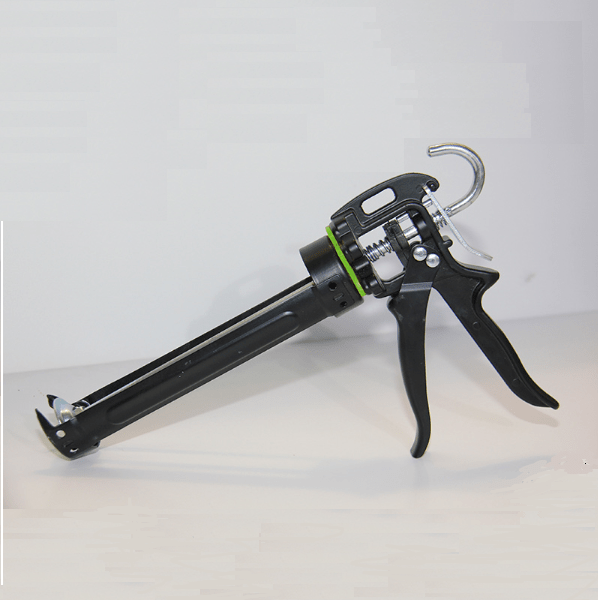 One option worth looking at is the Ritepro Caulking Gun. Elasticity / Modulus – Elasticity refers to the property of being able to resume a standard position after being stretched. This test is done on dry instant hold adhesive. Adhesive with a high modulus means that the adhesive will dry very stiff and rigid. Low modulus adhesive means that it will dry more flexible. High modulus adhesive will have a high level of resistance to being stretched vs low modulus adhesive which will have low resistance. Stretch is another term which is used when describing modulus. Being able to stretch an adhesive will mean that the adhesive has a low modulus. Hydrophilic – Having a strong affinity and the ability to attract water. Hydrophobic – Having no or a little affinity for water and the ability to repel it. Initial tack – Initial tack is a term relating to the initial strength of adhesive bond. It doesn’t relate to the final strength of adhesive once it has dried. An adhesive with high tack means less fixings are required to hold materials in place while the adhesive cures. This is a very important aspect in terms of saving on labour and fixing costs. An adhesive with probably the best instant hold adhesive is Ritetack – widely used by the signage industry in Australia. This product can be viewed at Ritetack. MS Polymer – It is a type of hybrid adhesive known as silyl-modified polyethers. They are solvent-free and isocyanate free. Mostly they offer good value due to the properties of combining the strength of polyurethane with the weather resistance of silicones. Shore hardness – This property relates indenting the dried adhesive. If it is higher in level of shore hardness it is less susceptible to scratching and denting. Tensile strength – Adhesive tensile strength relates to the adhesive once it is cured. When this adhesive specification is tested, it looks at the vertical force on the adhesive until it breaks apart. A high tensile strength means a strong adhesive. The high performance, all in one, multi-purpose instant hold adhesive. 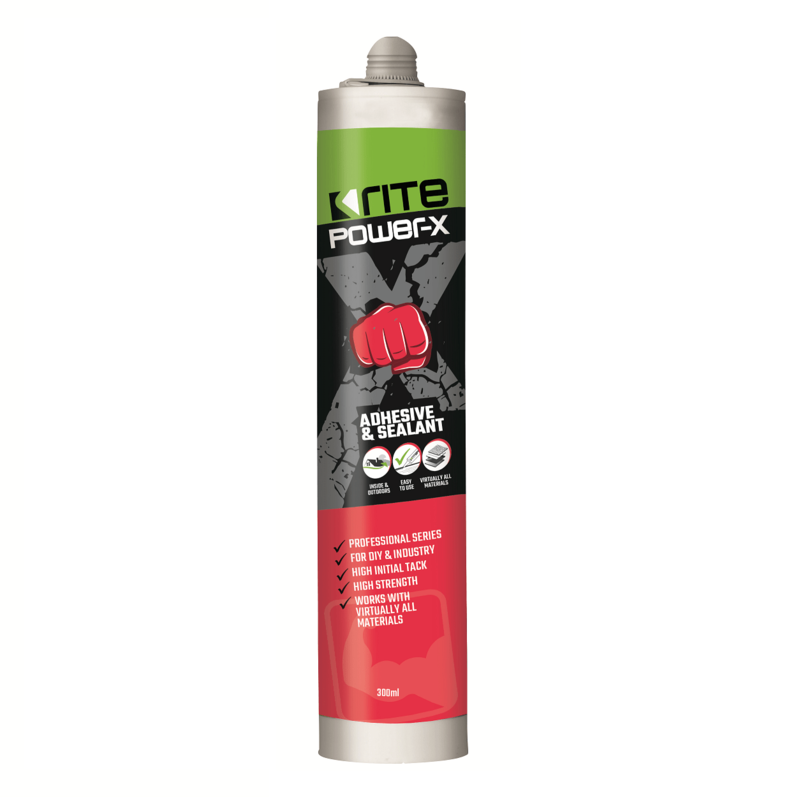 Power-X is a versatile adhesive and sealant. A performer in industrial adhesives. Works with virtually all materials. A versatile adhesives and sealant. Supplied Australia Wide from Perth to Sydney. It is a one component composition. The best practise for any adhesive application is to have surfaces which are clean and sound. If necessary use a primer (always test adhesive prior to full implementation on a project). In most cases, MS polymers (SMP) need less surface preparation than polyurethane adhesives. Once the surfaces are clean using mechanical methods such as sanding, materials may need a final clean with a liquid. The liquid used can be defined by a)detergent or b) solvent. More information regarding cleaning liquids for construction adhesives can be seen at http://www.adhesives.org/adhesives-sealants/adhesives-sealants-overview/use-of-adhesives/surface-treatment/surface-preparation. As with any adhesives check the surfaces that the adhesive will come in contact with before final install. Eg. If the adhesive is being applied to a painted surface, is the paint sticking well to the building structure. If the paint is flaky, there will be failure with any adhesive as the paint will come away from the structure due to the weight of the material being glued to the paint. Dry time on adhesives vary considerably. It is important to distinguish between the time it takes for install of your project and the total cure time. The time for install can be dramatically reduced using an instant grab adhesive. Instant grab adhesive allows your materials to be adhered together without using a lot of fixings and without waiting for curing. The density and chemical composition of the adhesive stops the materials from sliding. Cure time is the time it takes to fully dry and obtain its final strength. If you are working with the materials once you have applied the adhesive (eg. moving a portable building), before it has fully cured, it is best to also use mechanical fixings. An instance where instant grab adhesive is very beneficial is the install of an aluminium sign panel on a wall. Since there is likely to be no need to work with that panel once it is on the wall, you can walk away while it is curing. A lot of sealants or adhesives form a skin reasonably fast. This being said, they still take hours, or days, to cure entirely. How Long Does Instant Hold Adhesive last? A good question but possibly has many answers. Is it the adhesive unopened or once it has been applied? 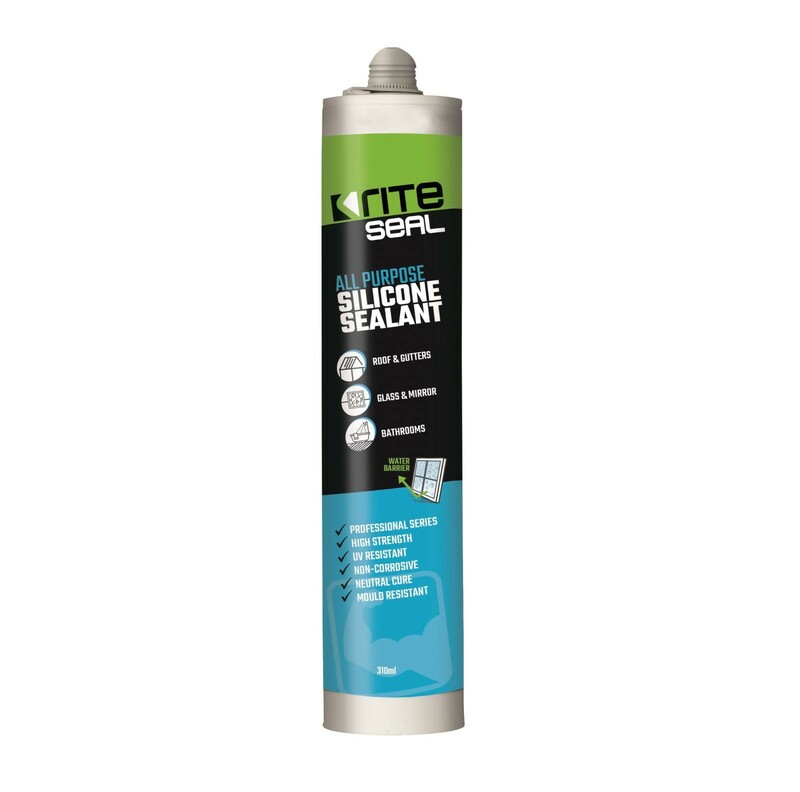 Riteseal Silicone Sealant – 12 month shelf life. All of the above shelf life times are based on the adhesive being stored in an environment which is between +5C and +25C. An amazing thought, but without adhesives in construction half the man made world would collapse. Many types of adhesives keep furniture, houses, cars and airplanes together. Instead of connecting surfaces with staples, screws, nails, bolts and welding, a large amount of construction projects use adhesive. Over the centuries, adhesives such as natural rubber glue, natural starch adhesives and fish glue, have been replaced by synthetic adhesives. As a result, the number of chemicals in adhesives that you may come across has increased rapidly. Tilers, carpet applicators, carpenters, construction workers and the wood industry daily use adhesives and sealants. Adhesives are mostly used to bond 2 elements together. Adhesives can be elastic or hardening. Sealants are primarily used for sealing of joints and edges.